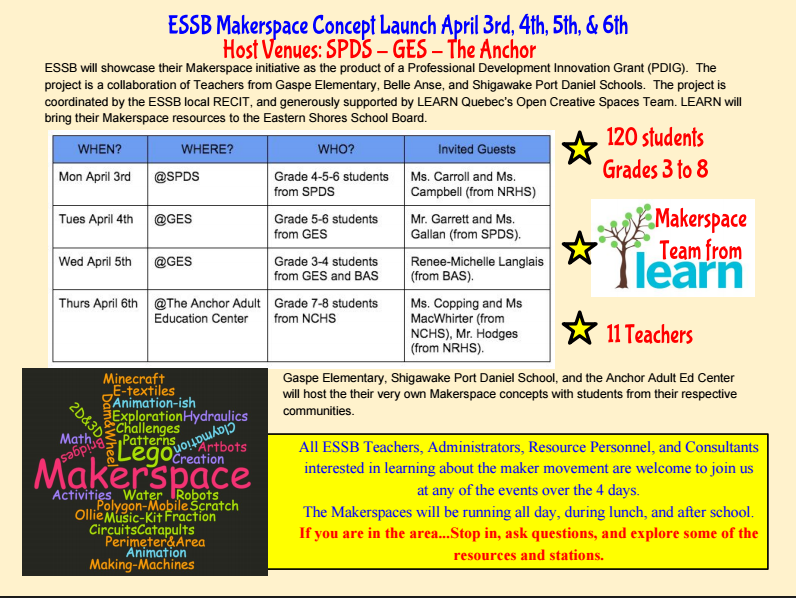 Eastern Shores School Board showcased our Makerspace initiative as the product of a Professional Development Innovation Grant (PDIG). 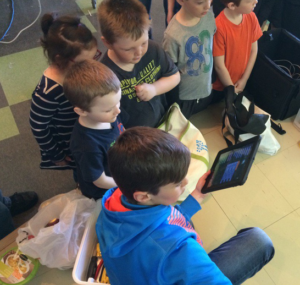 The project was a collaboration of Teachers from Gaspe Elementary, Belle Anse, and Shigawake Port Daniel Schools. The project was coordinated by the ESSB local RECIT, and generously supported by LEARN Quebec’s Open Creative Spaces Team. LEARN loaded up a van with everything under the sun, and brought the Makerspace concept to the Eastern Shores School Board. 120 students from grades 3 to 8. 11 Teachers (representing 8 different schools). The Open Creative Spaces Team from LEARN Quebec. 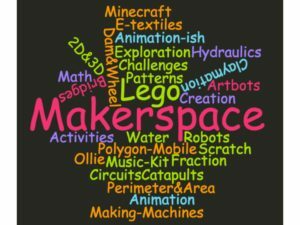 Gaspe Elementary, Shigawake Port Daniel School, and the Anchor Adult Ed Center hosted their very own Makerspace concepts with students from their respective communities. Shigawake Port Daniel School with grade 4-5-6 students from SPDS. Building motorized artbots which draw on their own. Programming the Ollie and Sphero robots to navigate an obstacle course built by students. Building a water dam with lego, to create energy. Creating an homopolar motor, powered by magnets, batteries, and copper wire. Creating a piano with keys made of play-doh, fruit and cups of water. Programing turtle art to draw shapes. Designing and Building a catapult to knock down a tower of cups. Gaspe Elementary School with grade 5-6 students from Gaspe Elementary School. 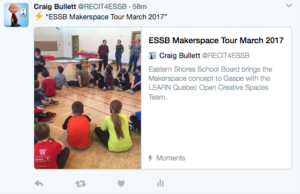 On this day, we converted the entire Gaspe Elementary Gymnasium into the GES Makerspace. The same Challenges and activities were replicated as done at SPDS. It is interesting to note the different outcomes with a simple change of venue. We could have brought the SPDS students to this location, and the experience would have been completely new! GES students exposed new angles and perspectives not seen the previous day. 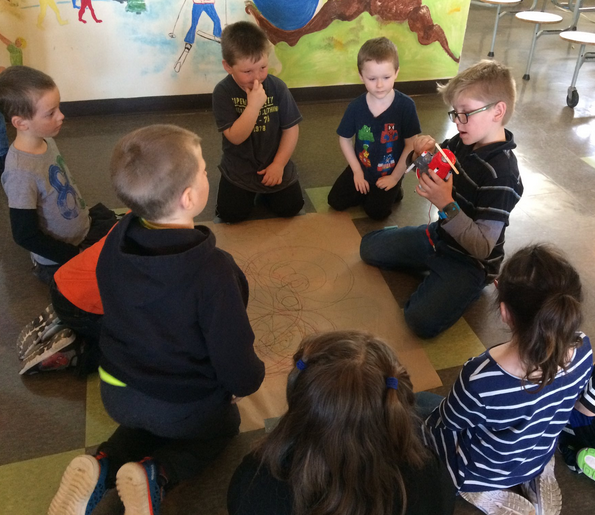 Gaspe Elementary School with grade 3-4 students from Gaspe Elementary and Belle Anse School. We opened the gym once again to our newest student audience. The mixture of students from 2 different schools created an interesting dynamic to start the day. It was clear to see students sticking to their own school group initially. As the day progressed, it was impossible to tell what student was from which school. They were all Scientists, Technologists, Engineers, Artists, and Mathematicians. The selection of stations and the duration to stay at each was left completely to student choice. It was amazing! No stations were ever empty and none were overcrowded. Students moved freely between stations in no particular order and without time restrictions. This phenomenon held true for all of our Makerspace days. It simply worked! The Anchor Adult Education Center with grade 7-8 students from New Carlisle High School. 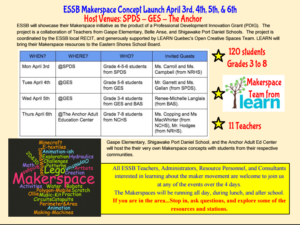 We brought the Makerspace concept to The Anchor to share the concept with the Adult Ed Community. On this day, we brought High school Students to experience the concept, while Adult Ed staff could also appreciate the phenomenon. The concept of stations is making it’s way into Adult Ed Centers across Quebec, and there are similarities to the makerspace concept. I think we planted some seeds for community Makerspace ideas to emerge from the event. Several Teachers commented on the lack of discipline problems and interventions needed to keep students engaged. Students were proud of accomplishments, really stuck to the task, and got through some difficult challenges. This makerspace event could not have succeeded without the proper framework guiding it. It was important to start with the appropriate mindset. We started each day by reading a story. We chose The most Magnificent Thing, but any similar story could work. It is important to talk about overcoming challenges and not giving up with a challenge. It is also important to emphasize that mistakes are ‘okay’. Finally, remember to have fun! We concluded each day with reflections from students. 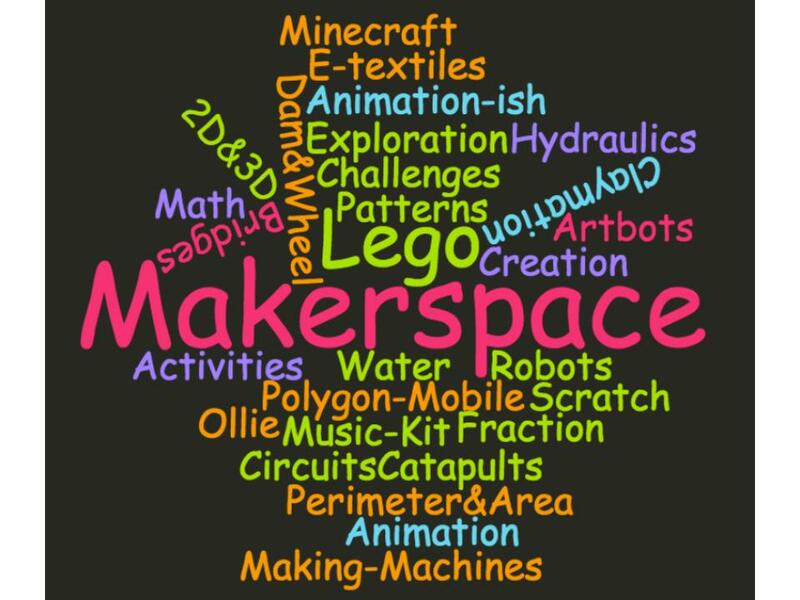 This allowed learners to consolidate their experience and identify what about the Makerspace concept, makes learning fun. Typically similar words came from each session. Choice, empowerment, autonomy, creativity, cooperation, trial and error. We can say without a doubt that we learned something new everyday. We, being everyone involved! Organizers, Teachers, Administrators, and Students. The most notable observations were the absence of conflict, the seamless cooperation, and the easy transitions between activities. Here are some nuggets captured over the 4 days. NCHS Students explain their hydraulic lift. Grade 6 experts imparting their knowledge to younger students.